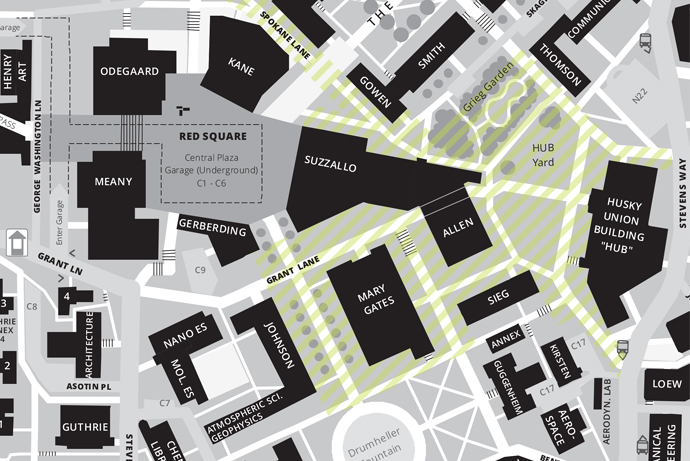 Heavily-trafficked parts of campus, such as the HUB Yard and the area between Red Square and Drumheller Fountain, are a designated Bike Walk Zone. Bikes must be walked when pedestrians are present. Violators may be issued a $25 citation. View a large version of Bike Walk Zone map. Speed limit. 20 mph on all campus roadways except for Columbia Road behind the UW Medical Center and Health Sciences buildings, where it’s 15 mph. The speed limit on the Burke-Gilman Trail is 15 mph. Negligent riding is subject to citation. E-bikes. Class 1 and Class 2 e-bikes as defined by the Washington State Legislature (max assisted speed limit of 20 mph) are allowed anywhere that a regular bicycle is allowed. Always yield to slower-moving pedestrians and cyclists. Right of way. Keep to the right. Always yield to slower-moving traffic, including pedestrians and other cyclists.  Obey all traffic signals and all posted stop and yield signs, including on the Burke-Gilman Trail. Passing. Bicyclists should typically keep to the right and pass on the left. Say “on your left” or ring a bell to warn the person you are passing. If you need to pass someone on the Burke-Gilman Trail, do so in single file. Sidewalks. Bicycles may be ridden on sidewalks except where signs indicate otherwise, such as some sections of Stevens Way. Remember to ride where you can easily be seen by drivers and pedestrians. Drivers not expecting you on the sidewalk may overlook you as they approach a driveway or crosswalk. Two chevrons above a bicycle are called a shared-lane marking, or “sharrow.” Sharrows alert all roadway users to watch for bicyclists. While bicyclists are allowed to ride on all UW roadways, roads marked with sharrows generally carry higher volumes of bicycles and cars. When riding a bicycle on a shared roadway, be courteous and respectful of pedestrians, people in cars and other people on bicycles. Ride predictably and in the correct direction of travel. Bicyclists may take the full lane (i.e. ride in the center of the lane) even when a sharrow is not present. Renew your U-PASS and parking products today! Don’t delay! Annual Renewal ends April 30. Get out your gear and log some miles this month!